A new data leak is set to place Malta under the international spotlight, after information from the Maltese financial regulator’s company registry was relayed to the International Consortium of Investigative Journalists. The data comes from two offshore services companies based in Bermuda and Singapore, as well as from 19 corporate registries, including Malta, maintained by governments in jurisdictions that the ICIJ says serve as "waystations in the global shadow economy". The leaks were obtained by German newspaper Süddeutsche Zeitung and shared with the ICIJ and a network of more than 380 journalists in 67 countries, including Times of Malta. The leaked files include documents from government business registries in some of the world’s most secretive corporate havens in the Caribbean, the Pacific and Europe, including countries like Antigua, Barbuda, the Cook Islands and Malta. One-fifth of what the ICIJ has termed as the "world's busiest secrecy jurisdictions" are represented in these databases, including Malta. Although Malta's company registry is publicly accessible, the database does not allow users to search by name for individuals linked to a company. Searchable leaked contents from the registry will be placed on the ICIJ's website in the coming weeks. Daphne Caruana Galizia's brutal assassination on October 16 has placed a renewed international focus on claims of corruption and money laundering in Malta, more than a year after two senior government officials were linked to secret Panama companies. A European Parliament delegation is set to visit Malta in the coming days to investigate rule of law, corruption and money laundering. The EP will hold a debate about rule of law in Malta on November 14. The new leak derived from files of offshore firm Appleby reveal Malta Financial Services Authority outgoing chairman Joe Bannister's links to a Russian mining venture. Prof. Bannister has played down his role in the venture, saying he was a non-executive director of one of its shareholders, ACP Special Situations No. 2 Limited. In leaked e-mails seen by Times of Malta, the Russian mining company IMHL refers to Prof. Bannister as being part of “management” of ACP Special Situations No.2, which is domiciled in the British Virgin Islands. Prof. Bannister says his involvement in ACP Special Situations pre-dates his appointment as MFSA chairman in 1999, and were cleared by the prime ministers he has served under. He said he resigned his role in the BVI-based company last year. Times of Malta will be reporting more about this story tomorrow. The Finance Ministry in August rejected a freedom of information request asking for a copy of Prof. Bannister’s declaration of financial interests, insisting they were not for public consumption. 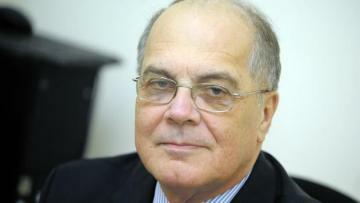 Apart from chairing Malta's financial services regulator, Prof. Bannister is also deputy chairman of Finance Malta, a body charged with promoting Malta’s financial services industry. In 2012, then Opposition MP Evarist Bartolo accused Prof. Bannister of failing to declare a directorship in a Cayman Islands based company, Kairos Fund. The dual role has been criticised as being a conflict of interest by Greens MEP Sven Giegold. The Malta registry data shows Mübariz Mansimov, an Azeri-born billionaire, linked to over 100 companies in Malta as part of his Palmali shipping empire. Numerous other Azeris show up as being linked to shipping and maritime companies based in Malta. The Maltese government's anti-money laundering agency (FIAU) classifies Azerbaijan as a high-risk jurisdiction, requiring extra due diligence checks. In December 2014, Prime Minister Joseph Muscat flew to Azerbaijan together with his chief of staff Keith Schembri, and then Energy Minister Konrad Mizzi. Last year, Times of Malta reported how a month later, the audit firm Nexia BT, used by Mr Schembri and Dr Mizzi to set up secret companies in Panama, started establishing a number of companies in Malta for Azeri millionaire Manuchehr Ahadpur Khangah. WikiLeaks cable reports drawn up by the US State Department describe Mr Khangah, who also holds an Iranian passport, as the “frontman” for Azerbaijan Minister for Emergency Situations Kamaladdin Heydarov. Their company in-formation account was opened at Pilatus Bank, as MFSA records show. The companies were all suddenly dissolved in December 2015. Read more in tomorrow’s print and online editions of Times of Malta.